It’s a line that gets thrown out there often on the Sydney club scene in recent times – imagine what West Harbour would be like if they got it all together! 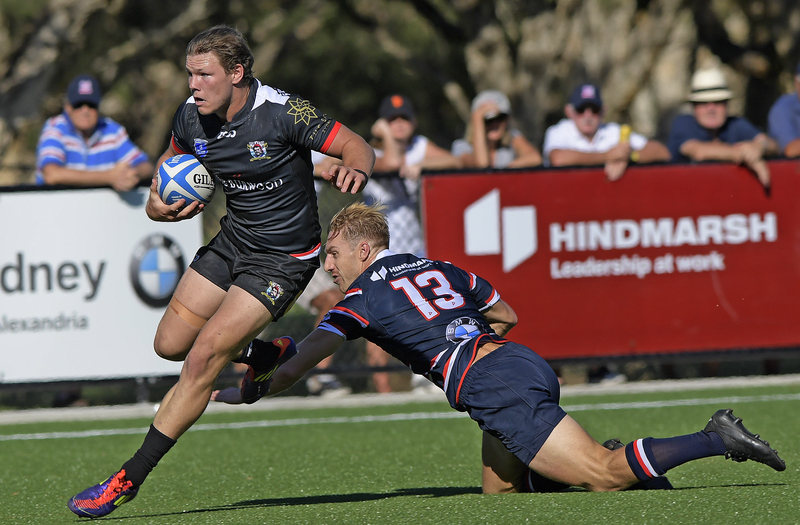 Well things were shaping well as they moved into the 2018 Shute Shield season on the back of a solid and well-well-constructed off-season and after eight round they were sitting nicely in third spot. But as coach Mark Gudmunson says here the opportunities that presented themselves just weren’t taken and it meant that semi-final footy was another year away atleast. Liquidity problems didn’t help at times but the foundations of a strong Shute Shield club are certainly there. As a big old rollercoaster ride. The club obviously had some well documented financial issues through the season that weighed heavily on the club, on and off the field. We also had players rewarded for their hard work with higher honours or professional opportunities and had to continually rebuild the team, which to me is a great thing for the guys that get these opportunities, but tough to get combinations when your team is constantly changing. Yes it was a great start. After Round Eight we found ourselves sitting in third with five wins, two losses and a draw. That came about off the momentum of 2017 and a good pre-season with the guys ready to really make an impact in the competition. Probably both games against Easts. In Round One we did not fire a shot and then hit a good patch and then in Round 12 we led 24-7 at half time with some great rugby and then let Easts put a clinic in the second 40 minutes while we just sat back and watched. As I said earlier, we had a good pre season that really challenged the players on field and off field and we continued with our first class program that will only get better. We did not take our opportunities on the field. When I look back at the footage of the missed opportunities in the big games, you wonder what could have been. I don’t like saying it, but pretty poor unfortunately. We did not make a final and were well down the ladder in some grades and colts. We need to put our best foot forward in 2019 and rebuild our playing squads. I suppose you look back and think how to rate your season. If it is on the ladder, then not great. If you look at development of players and players getting opportunities to advance, then quite positive. Obviously players make the most of their own opportunities, but players came back to us from the Waratahs squad and fought their way back in and are now killing it overseas, Kelly Meafua ran runner up in the Catchpole Medal after missing the last three rounds because of a professional contract in France, we had Albert Tuisue become the most feared forward in the competition and is now a Fiji Test player after a standout NRC competition and also Super Rugby Contracts and National A selections. Andrew Tuala and Albert Tuisue who have both been rewarded with higher opportunities. Rhys Brodie, he had an injury pre-season in 2018 and is a great guy and an outstanding rugby player. Get through the silliest silly season I have ever seen and focus on our playing group and do the hard work to be in a position to be ready to play and enjoy it along the way. I think there will be some interesting results all year round. So many new Head Coaches, so who knows what we have in store and that is what is exciting.